Design Burd Inc.Best #Spot in Town | Design Burd Inc.
A great update to Vidoovy and their local map tool was the integration of Google Maps Street View. 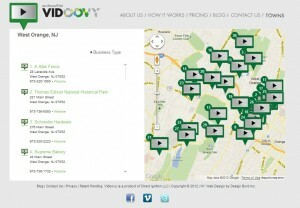 Now not only can you number across the screen the great locations NJ has to offer but you can scoot down the street and catch the Vidoovy down the street. Why search nationally when you can search locally!